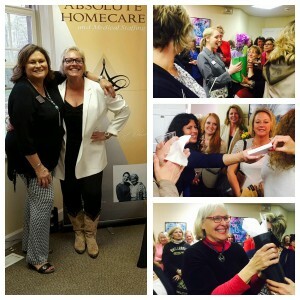 Ladies Night Out: A fabulous evening with fabulous women! AHMS was proud to host the spring Ladies Night Out networking event to support local business owners and share resources to support our community. Winner, winner, grocery BINGO dinner! 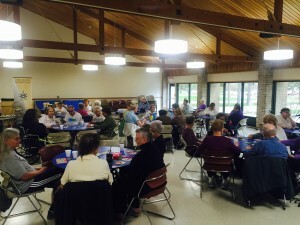 Always a fun afternoon calling bingo with our friends at the Portage Senior Center. April’s edition of Women’s LifeStyle features “Faces in Healthcare”, including Absolute Homecare & Medical Staffing’s Clinical Supervisor, Mandy Shorter, RN, BC. Mandy offers passion, experience and skills to aide clients in their desire to continue “living your life at home” with AHMS. To learn more, click on the link below and scroll to page 29. 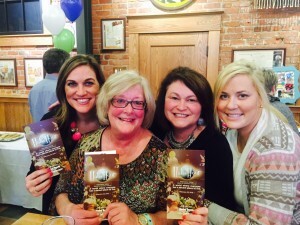 On February 23, AHMS attended the 6th Annual Habi Hour, benefiting Kalamazoo Valley Habitat for Humanity. The event featured auction items, sponsorships, and ticket sales with proceeds raised help build, renovate and repair homes in Kalamazoo County. 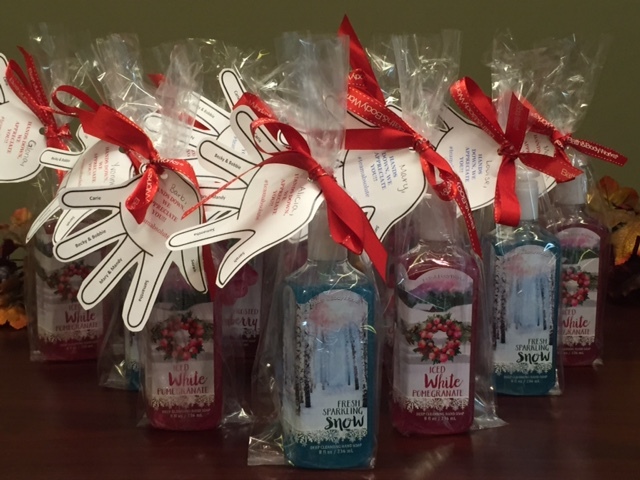 Roses are red, violets are blue, Absolute Homecare celebrated Valentine’s Day at the Portage Senior Center to serve you! Nearly 60 members gathered for the event, sponsored by Absolute Homecare & Medical Staffing, enjoying fantastic food and entertainment. 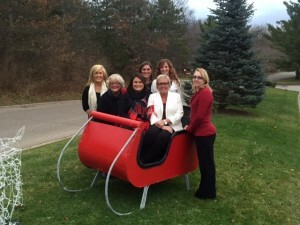 On behalf of Absolute Homecare & Medical Staffing, Merry Christmas and Happy New Year! We wish you & yours a Happy Holiday Season! AHMS Winter 2015 NewsletterFeatures this quarter include a top ten list of helpful hints to enjoying the holidays while reducing caregiver stress. 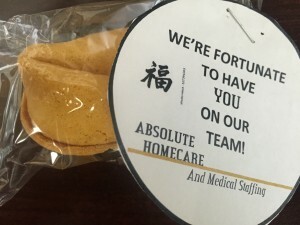 AHMS campaign: Appreciation ran through November and December, featuring caregivers for their continuous efforts, contribution and dedication. Hands down, we appreciate our team and their willingness to go above and beyond. 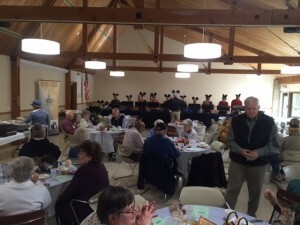 2015 marked the ten year anniversary for Absolute Homecare and success was shared throughout the community, including sponsoring local events with Thanksgiving at the Portage Senior Center. Absolute Homecare & Medical Staffing sponsored the annual Thanksgiving luncheon at the Portage Senior Center on Thursday, November 19. 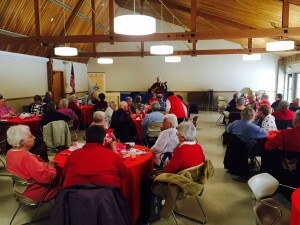 Over 70 members gathered for the event and the SilverTones from The Fountains at Bronson Place provided the entertainment. On behalf of Absolute Homecare, Happy Thanksgiving to you & yours! Hands Down, We Appreciate You!